We believe that Custom T-Shirts are picture perfect attire for events that makes everyone feel inspired with a good drive for the cause, event, team spirit, and marketing goals. 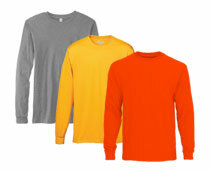 We have massive inventory of Short Sleeve, Long Sleeve, Tank Top, Youth, and Made in USA custom t-shirts. With out state-of-the-art digital screen printing technology, we have crafted the art of imprinting your specific t-shirt design ideas and cutting edge logos. 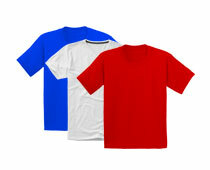 We offer comfortable t-shirts wholesale order at reasonable prices for schools, companies, and charity organizations. 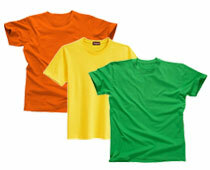 Our Custom T-Shirts will work as spirit wears and boosts for teams to enjoy the spur-of-the-moment! For day long events, these T-Shirts will provide comfort as they are manufactured with long-wearing construction and ultra soft interiors. Use your brand and team logos, mascots, and graphics on these T-Shirts to reflect the spotlight of events or support of causes. Create the coolest t-shirt design ideas through our online designing tool to get display your event’s essential promotional gear or spirit wear! Let your recipients be contentedly noticed and attract more traffic to your events! Share important messages with our Custom Apparel T-Shirts which serves as the spirit gear at fundraising and volunteering events, class and family reunions, and tradeshows. Our wide-ranging assortment of colors, designs, and fabrics will help increase awareness for your brand, promotional, and marketing events. We have vibrant styles of Basic Tees from Gildan, Hanes, American Apparel, Fruit of the Loom, Jerzees, Anvil, Champion, Tie-Dye, Bella, Alternative, New Balance, Russell, Dickies, Dyenomite, A4, Adidas, Devon & Jones, and Alo Sport. Based on your promotional needs, you can imprint your fun t-shirt design ideas and slogans to promote your sports, reunion, charity, giveaway, corporate, and school events. 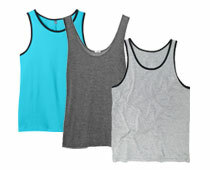 All of these collections have varied styles in vibrant colors suitable for men, women, and youth. We offer custom t-shirts wholesale at reasonable prices so that you can find the proper combination and style according to the prices. Our custom t-shirts will elevate your marketing efforts at promotional events, giveaways at walks and races, and donations at charity events. Therefore, spread messages positively!